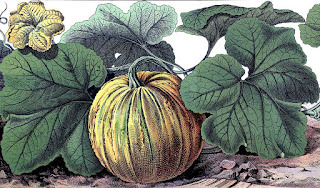 Today it's all about pumpkins and I have two fabulous new projects to share. 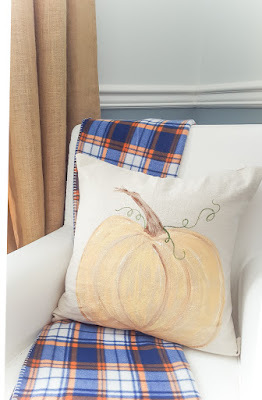 I'm over at Ella Claire Inspired today, sharing a tutorial for my painted pumpkin pillows. Oh hey there, welcome back! I like to think outside the box and get creative when it comes to decorating my home, because I like things that are unique and different. This certainly applies to seasonal decorating, when items will be on display for such a short time. I'm including affiliate links for your convenience. My full disclosure policy is available here. You could say my decorating philosophy for seasonal decor is 'keep it inexpensive and easy'. I rely on foundational pieces, like this empty frame I found at the thrift store. It's been painted a few times in its lifetime...most recently with my favorite turquoise chalk paint, then dry brushed with white (you can find my diy chalk paint recipe here). 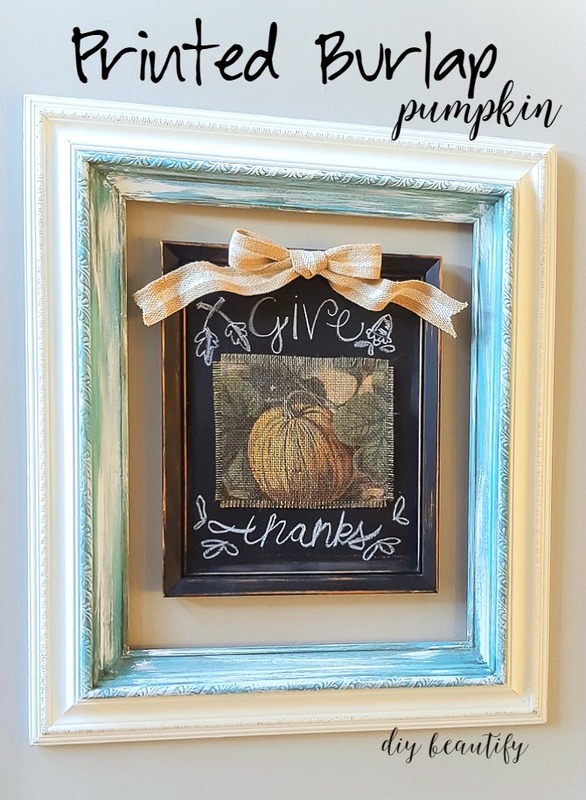 I layered this larger frame with a smaller homemade chalkboard, which is simply a frame that I painted and distressed, with a black chalkboard insert. I added a natural jute webbing bow to the frame for some dimension. Now that I've got my foundation, I change this vignette with the seasons. 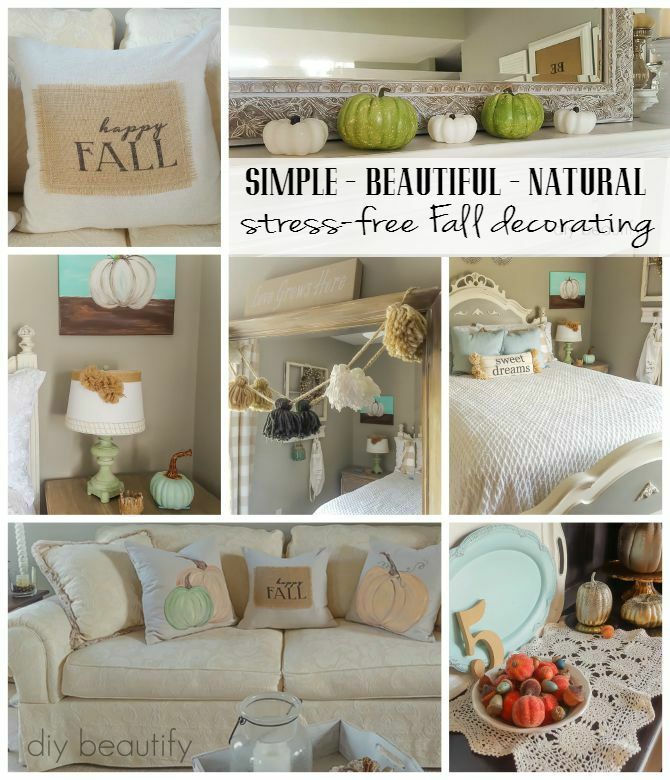 Last week I showed you a tutorial on how to create the burlap printed pillow you see below. When I find a great technique that I can use in multiple ways, I take advantage of that! Last week it was a pillow (go here for that full tutorial). 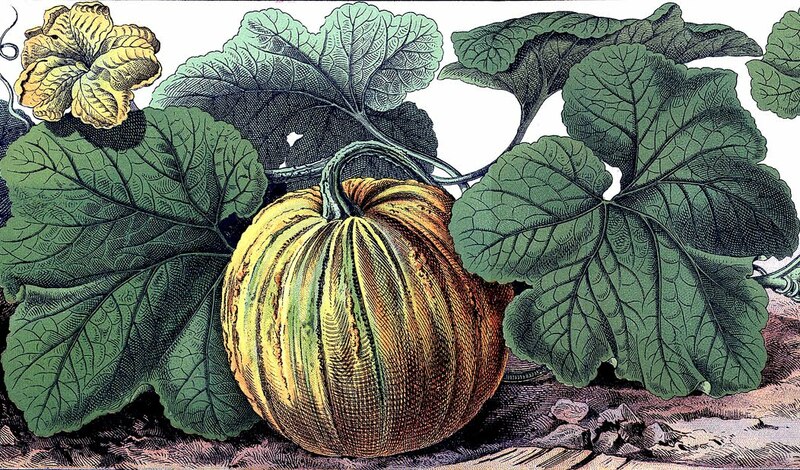 This week it's a pumpkin to hang on the wall. 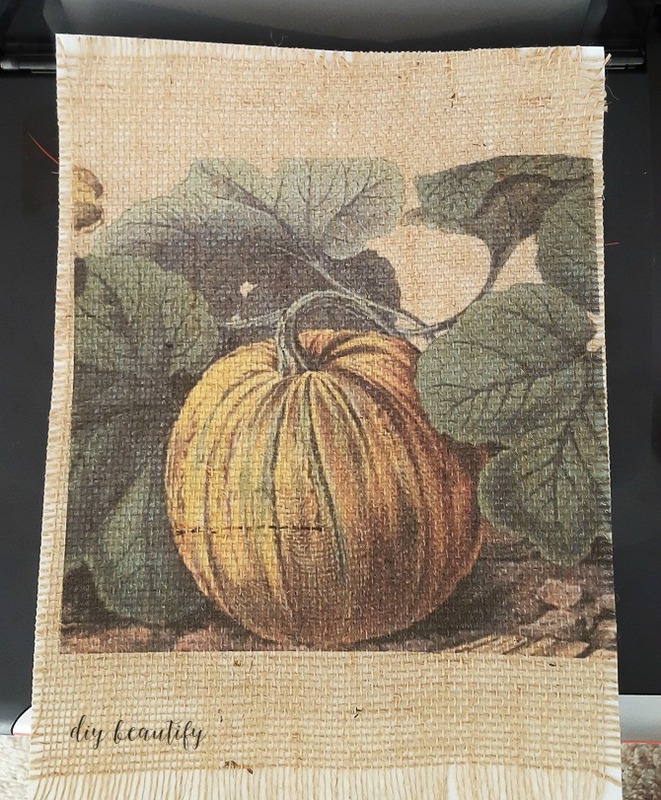 I found this vintage pumpkin image at The Graphics Fairy and was very curious to see how it would print onto burlap. 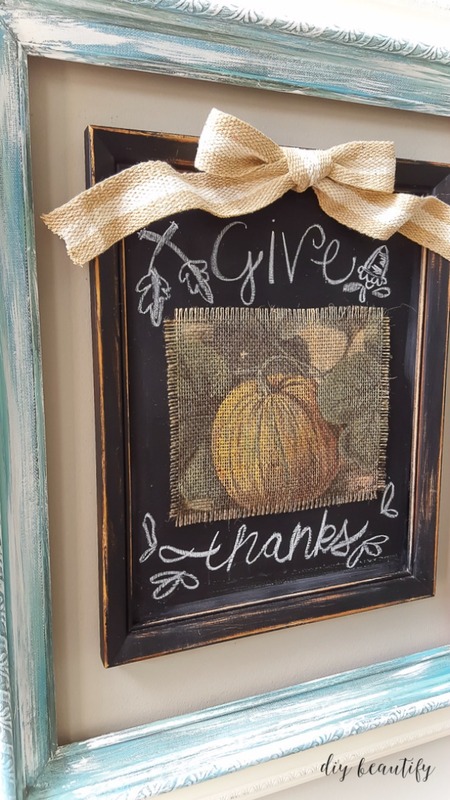 I uploaded the image to PicMonkey and cropped it so it would fit the size of my chalkboard. As you can see, it printed beautifully and looks great on the burlap! The burlap took the color and I love the texture! 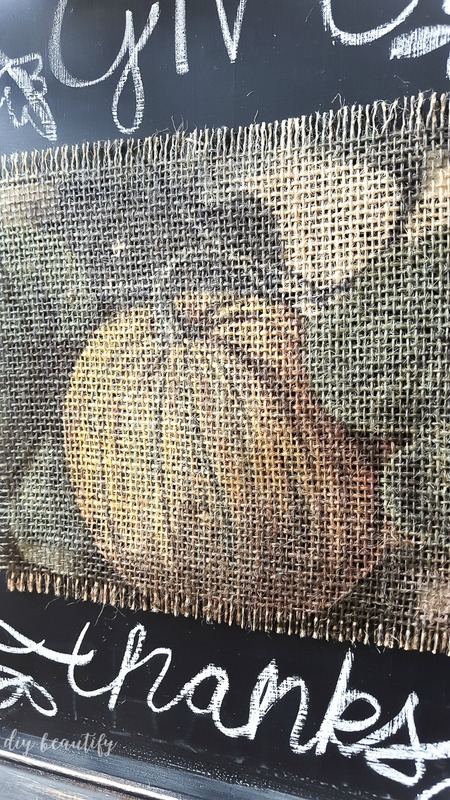 It actually looks as though the pumpkin image was painted on! 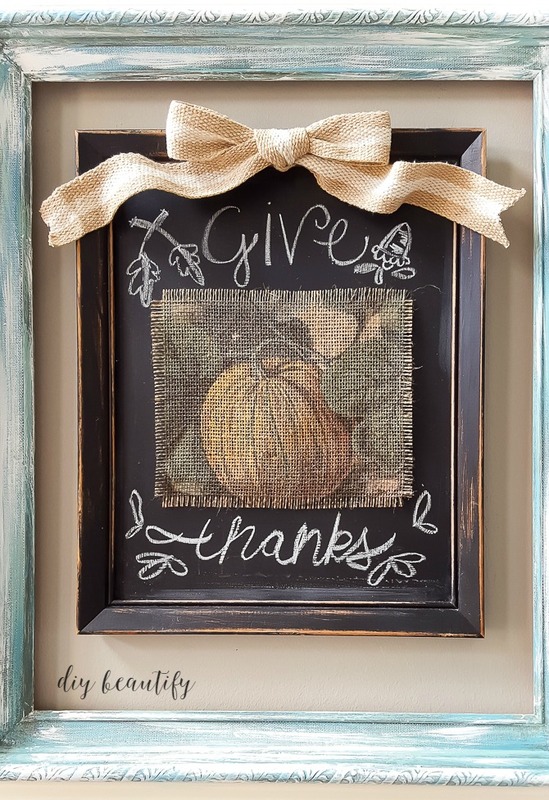 I trimmed it down, pulled a few threads from each end to give it a little fringe, and added some words to my chalkboard, as well as some leaves and acorns. 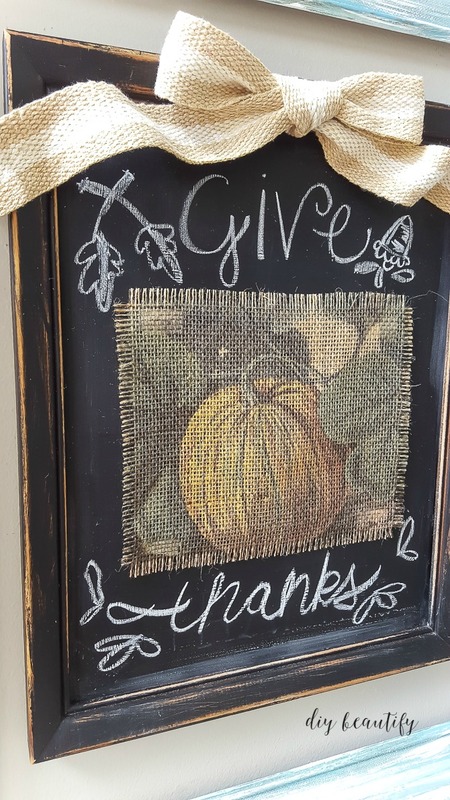 A little masking tape easily secured the burlap to the chalkboard, and is really easy to remove when I am ready to change it out. I'm already thinking about ideas for Christmas! 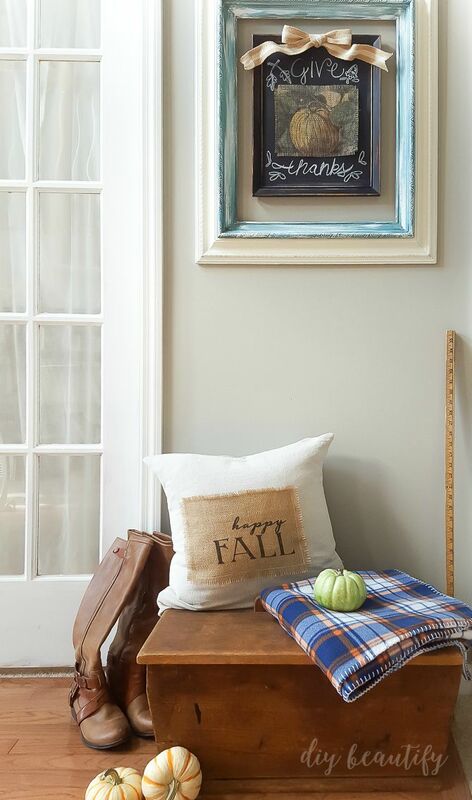 It makes a beautiful seasonal decorative accent in my entryway. If you haven't tried printing onto burlap yet, I hope you'll give it a try! Especially if you like quick and easy projects! You can use this technique to print onto drop cloth or even canvas duck cloth, like I did with these pleated Christmas pillows! 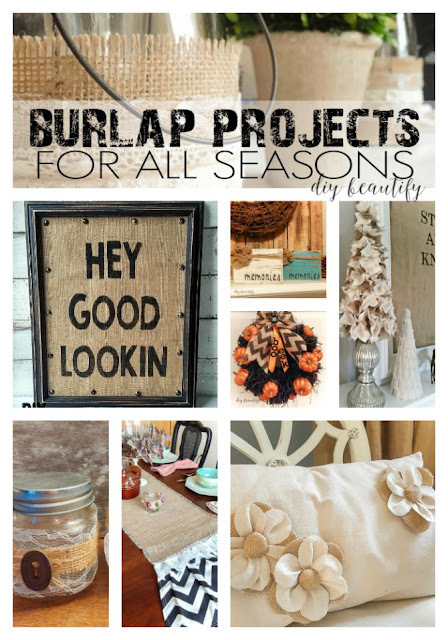 For more inspirational ideas for using burlap as a decorative accent, check out this post! If you missed my fall home tour and stress-free fall decorating, be sure to check out this post, full of simple ideas for a beautiful fall home. I hope to see you back here real soon! TThat was a real beauty. Such texture and color! Thanks for the share.